“Polis” is the Greek word for community. Can we bring together authorities and citizens by turning authoritarian conventions into new forms of public space? 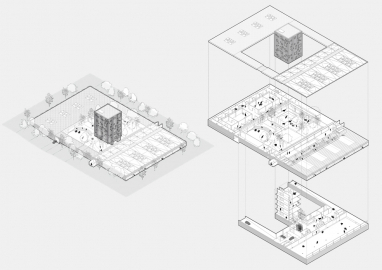 By considering the potential of architecture to positively impact our cities of tomorrow, we can find new approaches to uncertain relationships between citizens and public institutions that exist today. 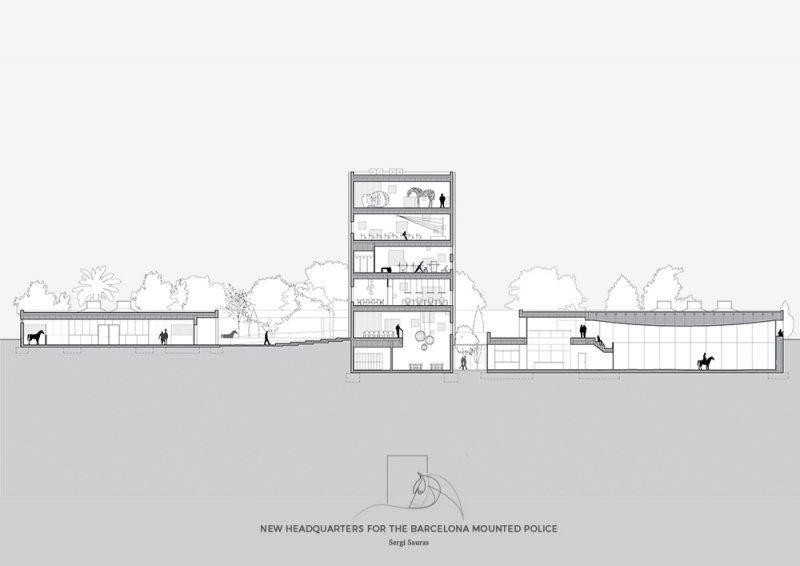 In this project, the conventional design of police stations is redefined in order to become a new public landmark for the city. As we move into the 21st century, the demands of our society are changing and many professions are evolving in order to remain relevant. By considering the potential of architecture to positively impact our cities of tomorrow, we can find new approaches to uncertain relationships between citizens and public institutions that exist today. Usually hiding behind fortress-like buildings, police stations tend to project a rather hostile image instead of a welcoming one. This may have something to do with the nebulous notion of “authority”, but does “authority” necessarily mean “authoritarian”? I believe it doesn’t have to be that way. 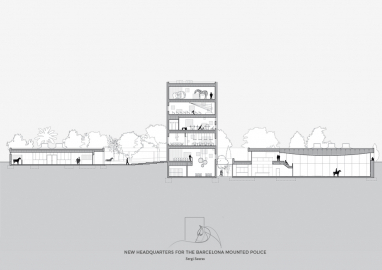 Learning from problematic relationships between communities and their police forces all over the world, this project proposes a carefully balanced environment for the headquarters of the Barcelona Mounted Police. 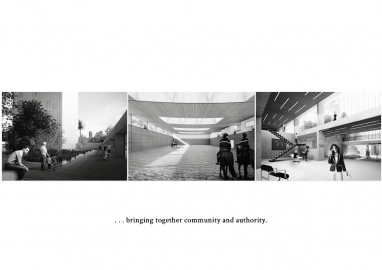 The proposal explores a new typology of semi-public building that equally responds to the needs of the citizens, the police officers and their horses under the notion of “Polis Station”, a term inspired by Jeanne Gang’s studies on this topic in her Chicago-based office. In a “Polis Station” –Polis is the Greek word for community–; different parts of the police program are open to the community. 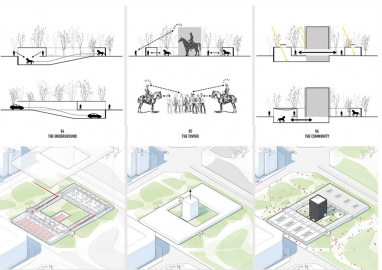 Spaces such as the dressage arena, the exhibition areas or the green spaces act as meeting places where citizens can interact with the police in non-enforcement situations. By opening the doors of a traditionally concealed institution, the urban police station becomes an active part of the neighborhood, not only as a public service, but also as a recreational and educational hub. 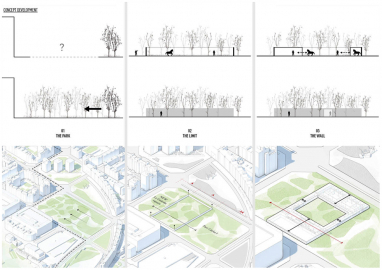 The project is located within the Parc Carles I, in the Vila Olímpica neighborhood. 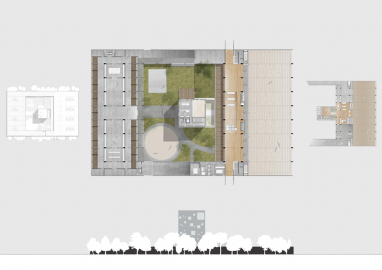 From an architectural point of view, an apparently simple plan and elevation (a low wall that hides between the park vegetation with an extruded tower in the center) gives room to a rich variety of experiences in section: double height spaces, crossed perspectives and lots of natural light. Ultimately, this project is born under the premise that the police officer needs the community and the community needs the police. 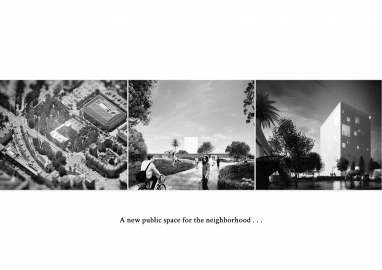 Architecture can offers new ways to reinvent this relationship in search of a healthier, safer, happier community.